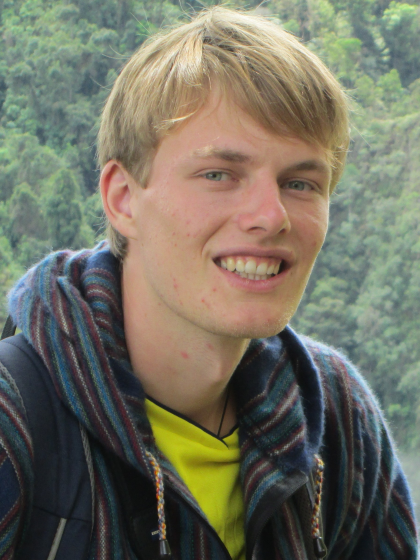 Hello everyone, I’m Christoph and I’m a first-year PhD-student at the Theoretical Biology group of Prof. Weissing (University of Groningen). I work on the antagonistic coevolution of predators and prey in complex traits such as movement strategies and behaviour. Towards this end I use a mechanistic modelling approach involving a dynamic, spatially explicit environment and evolving neural networks. This allows me to investigate emergent phenomena such as the occurrence of polymorphisms, trait cycles and never-ending evolution. On a more fundamental level, I am interested in the relation of evolution and complexity, intelligence and predator-prey coevolution. How do mechanisms influence the course of evolution and how does evolution shape mechanisms underlying genotype-phenotype mappings? My model considers more detail than comparable models in the field, making the parameter space very large and model outcomes diverse and sometimes counter-intuitive and surprising. To clearly depict and analyse the outcomes is not an easy task and topic of my current work, so I’d appreciate any input!